Cartilage Regeneration via Stem Cell Therapy is one of the most effective treatments for osteoarthritis in a damaged knee. Osteoarthritis usually occurs on our elders but this does not mean that the younger generation is immune to it. However, this condition is generally related to our body’s way of aging. As we age, the slippery tissues in our knees wears out resulting in acute pain, swelling and a disabled knee. This can result in a number of other serious anomalies that completely debilitates the individual. Originally, surgery used to be the only effective treatment of osteoarthritis that is a painful process with a very long recovery phase. Thanks to the modern Stem Cell Therapy for Osteoarthritis, patients experience a complete relief on their joints. Though many researches have been performed in the area of stem cells, there are only a limited number of practitioners that are able to offer a reliable stem cell therapy as a treatment for Osteoarthritis. Our stem cell cartilage regeneration therapy will provide you with complete relief, making you agile and active once again. After unsuring your suitability as a candidate for stem cell therapy, our experts will administer the stem cells into your knees. This is a non-surgical procedure. You do not have worry about lengthy treatment procedures. When compared to the other treatments for knee damage, our stem cell therapy has a shorter recovery period. When compared to the other methods, stem cell therapy for Osteoarthritis is one of the cost effective methods. You will not only be spending lesser time in restoring your knee but you will also be saving a lot of money through this process. 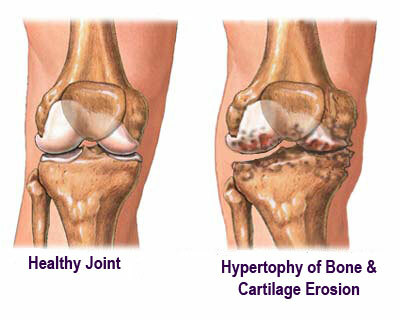 The pain in the knee joint will gradually reduce as the cartilage is rebuilt within your body. You will once again enjoy complete flexibility of your knee and you do not have to worry about shooting spasms of pain. Our stem cell therapy program will produce lasting results as it is not just a temporary relief. Our stem cell therapy works equally well for all age groups regardless of the cause of Osteoarthritis. The cartilage is regenerated naturally with the infusion of Mesenchymal Stem Cells that are derived from the umbilical cord of a newborn baby. We have a very high rate of success with our clients through our Stem Cell Therapy Program therefore you are sure to get the best value for your money. We offer complete support and guidance for quick recovery post treatment. The entire treatment will be administered by a highly experienced stem cell therapist. To learn more about our Stem Cell Therapy Program for Osteoarthritis, feel free to get in touch with us and we will be happy to assist you.